Recovering them from phosphogypsum—waste from phosphoric acid production—is a potential solution. 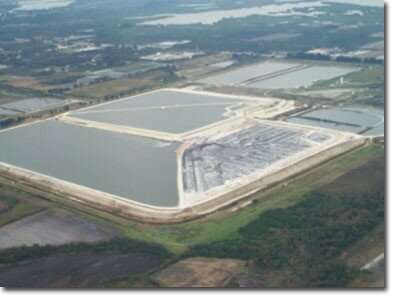 Each year, an estimated 250 million tons of phosphate rock are mined to produce phosphoric acid for fertilizers. The U.S. mined approximately 28 million metric tons in 2017. Rare earth elements generally amount to less than 0.1 percent in phosphate rock. But worldwide, about 100,000 tons of these elements per year end up in phosphogypsum waste. That's almost as much as the approximately 126,000 tons of rare earth oxides produced worldwide each year. 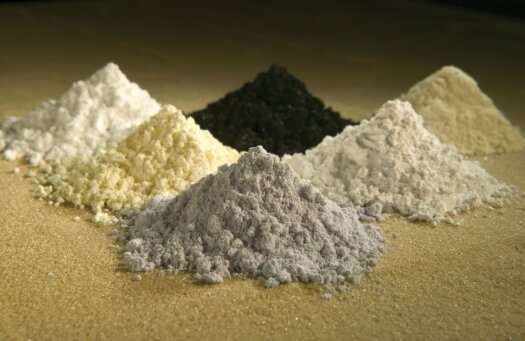 The research team explored using mineral and organic acids, including a bio-acid mixture, to extract six rare earth elements (yttrium, cerium, neodymium, samarium, europium and ytterbium) from synthetic phosphogypsum. Scientists led by David Reed at Idaho National Laboratory produced the bio-acid mixture—consisting primarily of gluconic acid, found naturally in fruits and honey—by growing the bacteria Gluconobacter oxydans on glucose. The results suggest that the bio-acid did a better job extracting rare earth elements than pure gluconic acid at the same pH (2.1), or degree of acidity. The mineral acids (sulfuric and phosphoric) failed to extract any rare earth elements in that scenario. When the four acids were tested at the same concentration, only sulfuric acid was more effective than the bio-acid. But if it costs 2$ a kilo more or requires significant investment it wouldn't be fair on the poor old mining and mineral futures investors. Their right to screw up the planet must be protected! Meh. Bring the rare earth elements and make money. This sounds like a boondoggle. This would be another way to limit China's power, since China produces the lion's share of rare earths (105,000 MT) and, until now, the USA produces nothing. We have become self-reliant in steel and fossil fuels. The more self-reliant, the more impervious to outside pressures; e.g., OPEC. Yes, ''National Security" might just be what it takes to make this happen against the tide of market forces. Import Tariffs might be involved. Oh No did I just agree with Trump: Rate me a 1 immediately. Okay boys settle down. Let me give you a quick version of American Trade Practices. Foreigners sell us quality foods, cars, video-game controllers, a huge percentage of the World's industrial production. & in exchange we pay them with worthless paper we call "Dollars" & you all think this long-time swindle is a bad thing? So? Whose side are you on? Sure, we ship most of the World's weaponry but it crappy, obsolete junk for local military & police to use on unarmed peasants. Gotta keep'm in their place. Who then would work the fields to supply America's voracious appetite for drugs? Don't tell me you boys are on the side of some commie school teacher or PH nurse trying to better their student's lives. & every useless toy or braindead TV we import? Is that much less material resource for China's military. You boys need to pull your noses out of your asses. Actually look at the World & see how we Yanks prosper at everybody else's expense. This makes me wonder if there's anything worth having in those giant piles of fly ash sitting by coal plants. They're certainly full of other metals. There won't be if they let it all leach into the groundwater. Another untapped source are orbiting nickel-iron asteroids & rubble. Not for the N-I which has little intrinsic value aside from the Potassium varieties & the Rare Earths contained within them. These infalling rocks have been the source for the Pk & R_Es in the Earth's crust since the original elementals got dragged into the Earth's core. Potassium is a crucial base element for Earth Life. If by some good-fairy miracle, biology can survive, reproduce & thrive off Earth? It will be this orbiting supply of Potassium with Carbon, Water, Nitrogen & Calcium that will make a sustained colonization effort possible. way to separate the Pk & Rare-Earths from the valueless Nickel-Iron to produce a decent ROI..